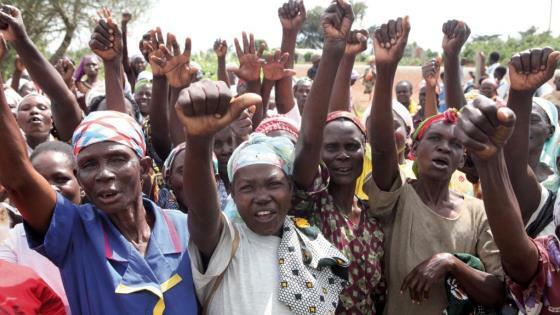 Shining a light on the urgent need to provide better protection for the human rights of African grandmothers, this doc follows grandmothers from their homes in Africa to the People’s Tribunal in Vancouver. This film shines a spotlight on the human rights challenges of African grandmothers as they struggle to save their grandchildren and communities from the ravages of AIDS. The film follows grandmothers from their homes in Africa to their moving testimony and passionate call to action at a People’s Tribunal in Vancouver. To watch the trailer or learn more about the film, visit stephenlewisfoundation.org/tribunalfilm. Special guests Stephen Lewis, Joy Phumaphi, & Justine Ojambo will participate in a post-screening discussion. The Toronto film premiere is sold out. If you would like to add your name to the ticket wait list, please contact the Stephen Lewis Foundation directly at info@stephenlewisfoundation.org or 416-533-9292 ext 0. For anyone unable to secure a ticket, we will be in touch as future screenings in Toronto are scheduled. This is a third-party event. For more information, please contact Alexis MacDonald, Director of External Relations.